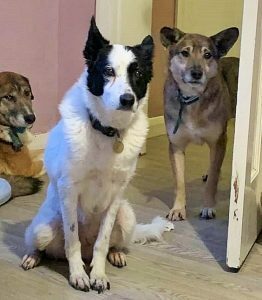 Jazzy is a Collie of at least 10 years who’s in the care of Safe Rescue. 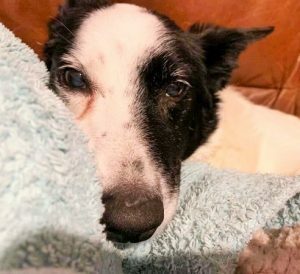 They took her in after her owner passed away. 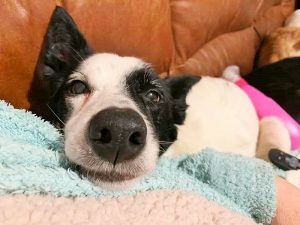 She’s a plucky old girl who, despite fading sight, is really holding her own in her multi dog foster home in Norfolk. Jazzy simply adores people of all ages and will happily lap up love and attention from adults or children alike. 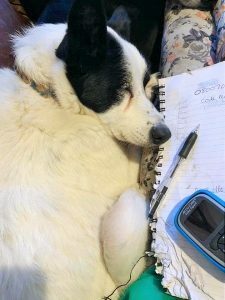 She’s used to being an only dog but seems unfazed by sharing her home with others, so either situation could suit her, as long as she can snooze when she likes. Jazzy travels well in a car and can be left for a few hours quite happily, in fact, she might not even wake up and notice you’ve gone! Jazzy does like a lap to sit in and just needs somewhere to be loved and spoilt for the rest of her days. 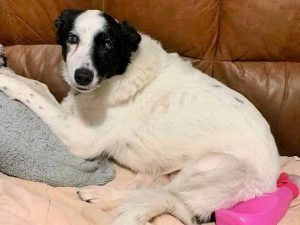 Please say you saw Jazzy on the Oldies Club website.